First of all I must apologise for forgetting I was going away when the competition expired. I got back yesterday but have been working on knitonthenet ever since, but first of all the winner of July's draw is Mikaela. Congratulations, could you email me with your address so I can get your book in the post to you. I have had a hectic time travelling the length of the country. I went first to the In the Loop conference at Winchester School of Art, which also saw the opening of the Knitting Reference Library which includes Jane Waller's archive pattern collection, as well as Montse Stanley's and Richard Rutt's. You could spend a lifetime in there. After that I travelled to Dorset to Camp Bestival to help at the knitting tent run by Gerard and Craig from I Knit London. We were promoting the Great British Sheep, which is a project to highlight the 60 plus native breeds of british sheep and how rarely you would find them in your LYS. We were swamped with knitters and learners for the three days, sometimes teaching 8 people at a time! 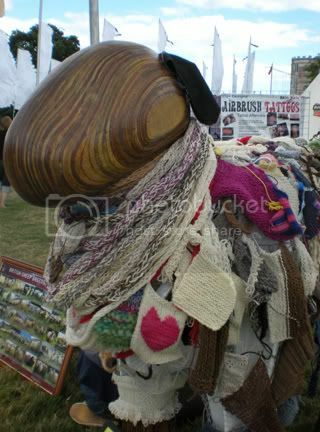 Here's a photo of our lovely sheepy as the weekend wore on. My daughter went with me to the festival and here's her new invention, the Fringe Protector! I managed to get Ziggy completed before the KAL deadline, and on the day it was finished it was worn by FIVE people. Everyone loved it and I now have requests for two more. We also had a visit from a celebrity. 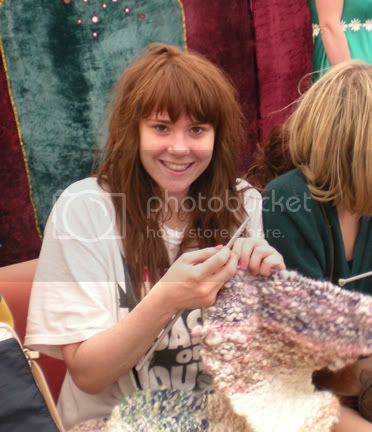 This is the lovely Kate Nash, who knits, and spent some time at the tent knitting and casting off. She was very sweet and posed for photos and gave autographs whenever asked. 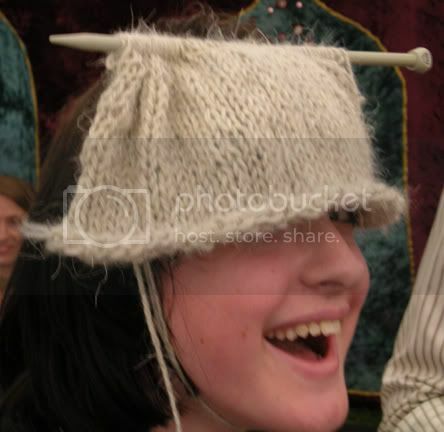 Later, when she was on stage, she told the audience she had been chilling in the knitting tent and that she loved knitting! 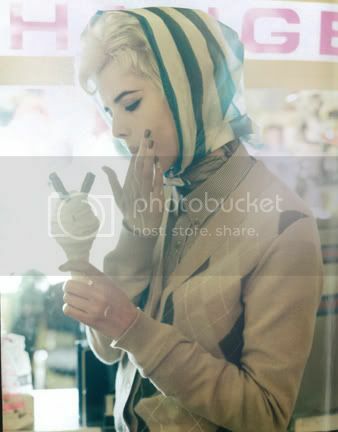 Issue 6 of knitonthenet went live today. I have two patterns in this issue. Orchid, using Filatura di Crosa Brillante. I wanted to make a nice, easy to wear summer top that could be used to wear for work, with shorts at the weekend or even over a bikini. I also wanted to fit a wide range of sizes and this one is sized up to a 50 inch bust. 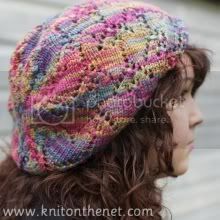 and Tropicana which uses knitshop's beautiful Mulberry silk. 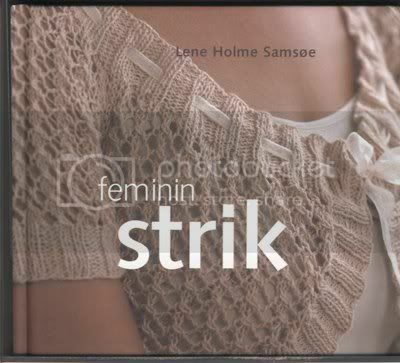 It is gorgeous yarn, really, really gorgeous. I really enjoyed knitting this one. Its an intricate but easy to follow lace pattern called Pear and Trellis and after the first repeat it becomes very simple to follow. Much much easier to knit than it looks. I do hope you all like them. I'm sorry, gratuitous I know, but Rafa Nadal has forcibly stopped me from moving away from my TV set, playing the most stunning tennis I've ever seen. I always love Wimbledon, but this year was a particularly wonderful year. I did get plenty of knitting done though, and even more sewing up, lots and lots of sewing up and finishing. I know this isn't many knitters favourite way of spending time, but I really enjoy it. Its probably the dress maker in me, but I love turning unfinished knitted shapes into complete garments. 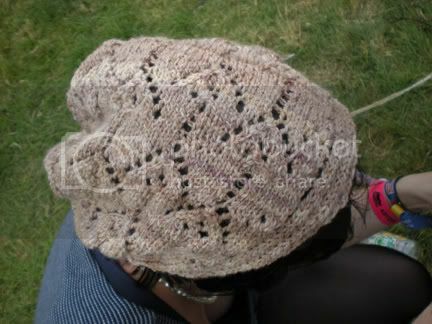 Most of what I've been doing is for knitonthenet which should hopefully be 'live' at the end of the weekend. This month's giveaway isn't quite as up to the minute as the last but it is a lovely book nonetheless. Its Loop D Loop Crochet by Teva Durham. I bought two of these, one for me and one for a friend and she had already bought herself it! And of course, I forgot to send it back and is now waiting for a good home. It hasn't even been looked through as I use my other copy so is definately as good as new. 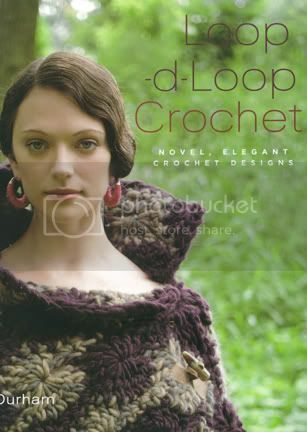 Even if you're not a crocheter I think its an inspiring book. This is one of my favourites. All you need to do is leave a comment on the blog before next Tuesday night and I will pick the winner at random. 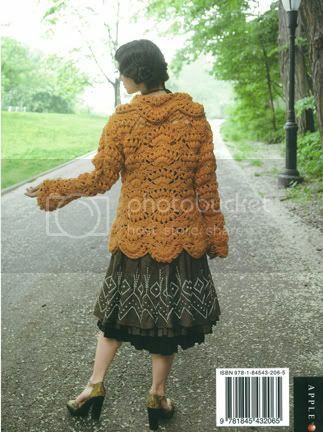 Finally, my copy of Vogue arrived in the post this week, and there is a gorgeous photoshoot of Agnes Deynes as a 'northern lass' showing some scrummy knitwear for the autumn. This one's my favourite, probably because of the pig, but I've been told that even if I make the cardigan I won't get the pig! Love the Desperately Seeking Susan styling as well. Reminds me of my youth!! I never managed the eyebrows though. 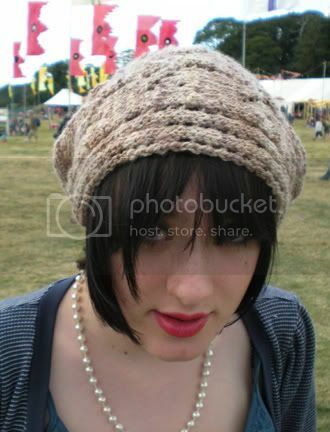 I just adore this hat as does my daughter, so we'll be fighting over this one. 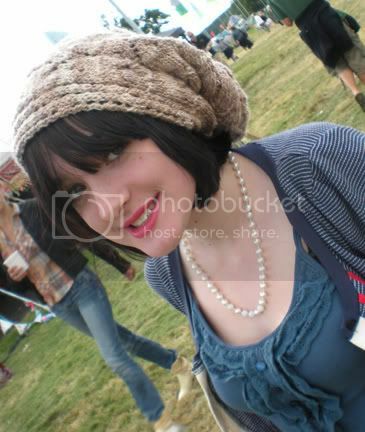 This is the first sideways Wormhead hat I have tried and I'm really keen to do so. I'm going to have to wait a good week before I start however, as I'm still (as always) in a state of emergency trying to get everything ready for the next issue of knitonthenet. 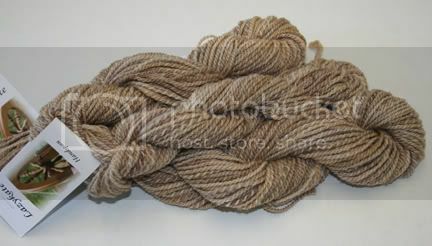 For Ziggy, I have 3 edible skeins of worsted handspun from lazykate called Beatrice. I have 7gms less than a skein of Lorna's Laces shepherd worsted which the original is done in so I'm going to do the smaller size and just hope that I have enough. I'm pretty sure I'll be ok but you can never be sure! 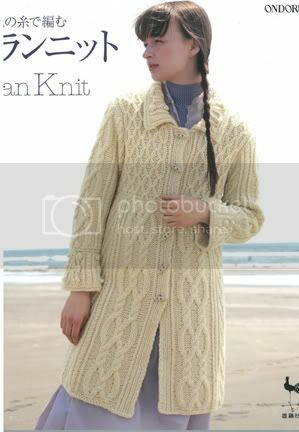 The first is this Ondori knitting pattern book called Aran Knit. 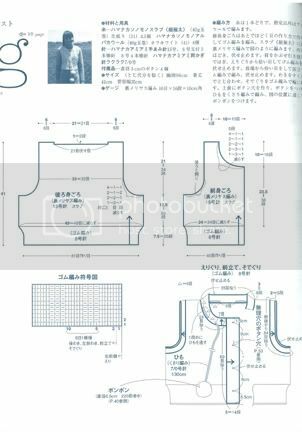 however these cable ones are particularly complicated so it might be more of an inspiration book rather than a pattern book! 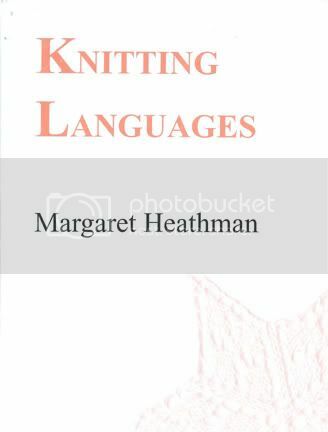 Its simply called Knitting Languages by a lady called Margaret Heathman. It is fantastic. I've wanted it for ages. It includes french/english, japanese/english norwegian/english and seven others, including danish/english, which means I can start translating this book which you may remember I bought some time ago. There are a number of patterns in this book that I would love to do, but I'll probably pick a simple one to start and work my way up! All this talk of books reminds that is is now July. If you pop back later in the week I will have the July giveaway ready for you - same simple rules as last time.